The sun is setting earlier which means winter is right around the corner. While everyone remembers to get a coat and most remember a hat, many people forget to get gloves. Pockets might work generally, but you cannot keep your hands in your pockets while driving. That is why we have scoured stores looking for the 5 best winter driving gloves. We highlight what each one does best and even provide a helpful buyer’s guide at the end of the article. Cutting the chase, we think the WARMEN gloves are the best–but not for everyone. 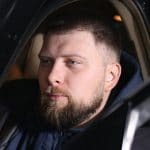 WARMEN can be considered a modern success story as a company that started by making cheaper alternatives and eventually grew into a legitimate company. That said, this also means that the brand is a bit more prestigious and can carry a larger price tag. In fact, the WARMEN driving gloves are the most expensive winter driving gloves we reviewed, but they are also the best. 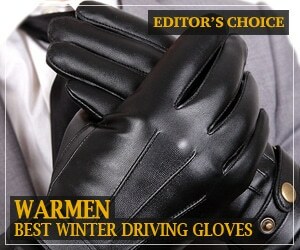 That is why we rated them our Editor’s Choice best winter driving gloves. One thing often overlooked when choosing gloves is that some will fit better than others. While you can try a pair on in person, you cannot do the same online. Thankfully, the WARMEN gloves offer an excellent fit that is further reinforced by a couple of features not found on some of the other options we looked at. For one, these gloves come in 5 different sizes that will fit the most number of people. However, these are some of the rare gloves we saw with a clasp closure to ensure that they do not come off while worn. To provide even more stability, the cuff is cinched with elastic that keeps your hands warm and centered. With companies trying to find the right balance between protection and flexibility, one feature that often gets left out is the most important: warmth. Most winter driving gloves do offer a fair amount of protection, but they are rarely designed for freezing temperatures. Even many of the driving gloves we reviewed on this list are not great for the coldest of temperatures. Thankfully, the WARMEN winter driving gloves provide plenty of insulation. If you opt for the fleece lining, the 100-percent polyester will trap plenty of heat. The cashmere lining is actually a blend of spun cashmere and rough spun wool. This may not feel quite as soft as it might otherwise, but it works wonders for keeping your hands warm. ELMA is a fairly new brand and should not be confused with the other ELMA fashion brand. This brand specializes primarily in gloves and other cold-weather accessories while the other ELMA focuses on women’s fashion more broadly. Another sharp distinction is that this ELMA actually focuses more on men’s cold-weather accessories than women’s. Though the company does make plenty of options for both sexes. Because of the need for flexibility, winter driving gloves have become a somewhat stagnant market. Everyone is making minor changes to everyone else’s design without much forward movement. In this situation, having options is a great benefit, and the ELMA driving gloves provide plenty. For one, these gloves come in 5 different sizes so everyone can wear a pair. On top of that, these driving gloves come in 4 different styles–the second most on our list. Not only are these styles divided by color, but they are divided by the lining material as well. In fact, these are one of the few pairs of gloves that we reviewed whose cashmere lining is 100 percent cashmere. Most of the other driving gloves we saw with cashmere lining were actually using a cashmere blend. This can help keep manufacturing costs low, but you often trade something in quality. It is worth noting that ELMA offers a blended lining as well, but their cashmere lining is genuine. Outside of the lining, the outer of the ELMA driving gloves are not quite as impressive. While it is not poor quality, it is made from genuine leather. 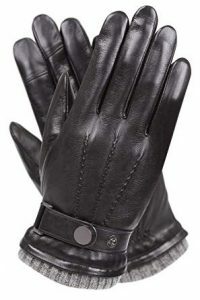 This means that the ELMA driving gloves should not be expected to make it past a single season. This would not be as much of an issue if the ELMA driving gloves were not also one of the more expensive on our list. Anccion is another new company, but this one does specialize exclusively in driving gloves. This means that Anccion has nothing else to distract it from making the best driving gloves. While these come close, they are not going to be ideal for everyone, but they are still the best motorcycle winter driving gloves. By most accounts, the Anccion driving gloves are not too terribly different than many of the other options on our list. However, this pair of driving gloves uses a proprietary material for the lining. The 3M patented Thinsulate lining provides the same warmth as other materials using less. Since the Anccion gloves do not actually use less material for the lining, this means that they are warmer instead. Like some of the other gloves we reviewed, the Anccion also features design choices to reinforce the warming Thinsulate lining. A clasp closure keeps your gloves secure while also keeping out the cold air. Finally, the wrists are cinched, though through stitch instead of elastic. Altogether, these winter driving gloves are rated for colder temperatures than any other we saw. The Anccion gloves may offer some of the best warmth we saw, but they also have legitimate drawbacks For one, the genuine leather material used for the outer is not that durable and unlikely to last longer than one season. That said, the sheepskin leather is still very soft and supple. Though, the thicker lining does still negate any otherwise gained flexibility. Another issue with the Anccion driving gloves is that they only come in 3 different sizes. While this would generally limit the gloves to a single gender, this is further muddled by the sizes not always being standard. Another potential concern is that there is no touchscreen compatible fingertips–a must for a modern, urban professional. Another in a long of companies that are less than 5 years old, Harrms is also one of the larger brands. In terms of catalog, Harrms is competitive with Pierre Cardin in terms of volume and breadth. That said, this means that Harrms also does not specialize in anything. In fact, the company does not even focus on clothing more broadly, let alone winter accessories. That said, the company does still manage to innovate a few features here and there. As a new company, Harrms does not have a radical approach or innovative design. Instead, it incrementally improves on some of the most popular and overlooked features. Specifically, the Harrms driving gloves offer by far the most robust touchscreen compatibility on our list. In fact, only by using different materials do we think you could improve on this feature at all. The special part about this with the Harrms glove is that it offers 360-degrees of compatibility. This means that every part of the glove will be able to activate your touchscreen. This makes using your tablet or smartphone much easier with the Harrms than with any other winter driving gloves we came across. Another way that Harrms stands out is quite literally. Specifically, the Harrms driving gloves come in 6 different styles. The styles are a combination of lining materials, colors, and cuffs. With so many brands focusing on one small range of styles, Harrms can snag repeat customers who might need to go to two different brands to get the styles they are looking for. The Harrms also uses the W-type of thumb stitch to increase your thumb’s flexibility. However, all of these features come at a literal cost with these driving gloves coming in a bit more expensive than some. This would not be so bad, but these gloves are also only good for a single season. Of all the brands on our list, Pierre Cardin is the most experienced and the most prestigious. That said, Pierre Cardin does not specialize in winter driving gloves or cold-weather accessories. Instead, Pierre Cardin is known more like a fashion brand that makes all kinds of clothes and accessories for every occasion. That said, for the price, these are by far the best cheap winter driving gloves we found. 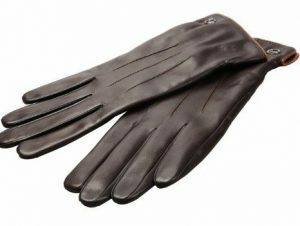 One of the best things about the Pierre Cardin gloves is that they are made of sheepskin leather rather than genuine leather. 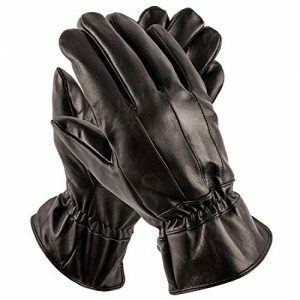 This ensures that these driving gloves are more durable and can last multiple seasons of use. Even better, the sheepskin leather is also extremely supple and soft, providing excellent flexibility. 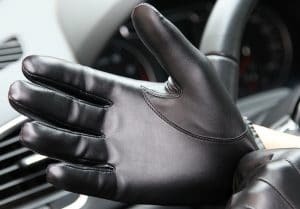 The Pierre Cardin’s are also one of the few pairs of driving gloves we reviewed that use 3M’s Thinsulate material for their lining. This provides plenty of warmth without restricting movement. The cinched wrist keeps the gloves in place, while the unisex style makes this a great choice for men or women. That said, the Pierre Cardin driving gloves do have some notable drawbacks. Pierre Cardin did an amazing job balancing the different needs of winter driving gloves while still keeping costs low. We think the flexibility of these gloves is especially noteworthy. However, this makes it all the more frustrating that the Pierre Cardin driving gloves are not touchscreen compatible. It seems like such a wasted opportunity, as that would surely make these the Editor’s Choice. Another potential issue with the Pierre Cardin driving gloves is that they only come in 1 style and 2 sizes. While the former is annoying, the latter might exclude you from using these gloves altogether. Basically, these gloves are not meant for precision, even though they move so well. That said, this does mean that the Pierre Cardin gloves are some of the most comfortable gloves we saw. Winter gloves and driving gloves often have two different sets of requirements that can make combining the two difficult. It is important to remember that winter driving gloves need to be thin enough for fine motor control but warm enough to keep your hands and fingers limber. This makes choosing the materials for winter driving gloves far more restrictive than for other types of gloves. The outer is the most external part of the driving gloves exposed to the open air. By and large, winter driving gloves are made of leather due to their particular properties. For instance, leather is exceptionally durable for its weight, making it ideal for clothing. On top of that, leather is also naturally water-resistant–though water left of leather can permanently damage it. Leather also works great for insulation which makes sense considering it is literally a second skin. This is also what provides leather its flexibility. 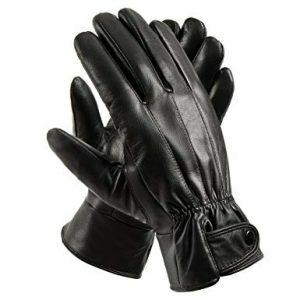 However, there are a couple of different types of leather commonly used for winter driving gloves. Faux Leather – Faux leather, or pleather, is not actually made out of animal skin at all. Instead, pleather is made from the plastic, polyurethane. While this may make faux leather gloves less expensive, it comes at the cost of serious trade-offs. Polyurethane is a perfectly acceptable material to use for a wide range of products, including clothes. But gloves, like shoes, see a lot more interaction than other articles of clothing. As such, you want to make sure your gloves and shoes are made out of the strongest material that is also comfortable and affordable. 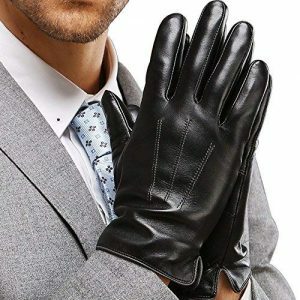 Pleather is plenty affordable, but it does not have the best texture and it is the weakest material commonly used for gloves. If you just need a pair of gloves for one season, pleather is perfectly acceptable. Just do not spend the money that demands multiple years of use on pleather. Genuine Leather – This is the lowest grade of leather, but it is extremely common. Keep in mind, the term “genuine leather” is a legal marketing term. Genuine leather is not made from single sheets of tanned skin like top-grain or full-grain leather. Instead, genuine leather is made from the various bits leftover after using the better qualities of leather. These bits are then glued together, sometimes with a thermal bonding agent. This allows makers to truthfully state the product is leather without spending as much on materials. This decrease in cost for the manufacturer is translated to the customer in lower prices. It is worth noting that genuine leather is not significantly more durable than faux leather. Neither is genuine leather more resistant to water. Its main benefit is the prestige of being leather. Top-Grain Leather – This is the highest quality leather used for clothing. Technically, full-grain leather is considered the highest quality leather, but it is not ideal for use with clothing. Top-grain leather is made by using just the top layer of skin which is not as durable as the lower layers but is softer. In fact, high-end top-grain leather is noted primarily for how soft it feels despite being tanned. Do not let the soft texture fool you as top-grain leather is much stronger than faux or genuine leather and repels water much better too. Of course, you pay for what you get, and top-grain leather is often twice as expensive as genuine leather. However, the cost is more than made up for if you take care of top-grain leather gloves. If properly maintained, high-end winter driving gloves can last for many seasons. Much like the outer, the primary consideration with the lining is its material. The construction and sewing techniques can play a role in how good the lining is, but usually, the material accounts for the lion’s share. 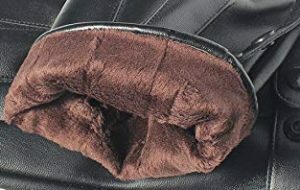 Unlike with a winter driving glove’s outer, the lining may be made of a number of different materials. In fact, the lining could very well be made of multiple materials at the same time. On top of that, those materials may be both natural and synthetic. To make matters more confusing, the natural materials are not inherently better than the synthetic ones. Instead, the different materials are better for different environments. That said, there is still a prestige and corresponding price tier. Polyester/Nylon – In terms of synthetic materials, polyester or nylon are both excellent options. In terms of trapping heat, both fabrics work exceptionally well. In fact, polyester and nylon insulate better than cotton.Both of these materials are exceptionally strong, though nylon is a little bit stronger. Of course, that rarely matters for the inside of your gloves. That said, polyester is a bit more water-resistant which may matter if you live where it snows. Cotton – Cotton is a bit of a “classic” material that is not used as much anymore. Because it is natural, cotton is a bit more expensive than the synthetic fabrics used for driving glove linings. Unfortunately, cotton does not do many things better than any of the other materials used on our list.In terms of durability, cotton is one of the weakest materials, though it can be woven in numerous ways. This allows cotton to provide various textures like microfiber or velvet. But cotton is not the best insulator either. Wool – Wool is the best material for the most people, but it is not for everyone. Wool is a great insulator, but it can make people feel itchy if worn for too long. Wool is also fairly strong, though the weave often reinforces this.One of the more notable qualities of wool is its texture. While it can be spun rough, wool also sports some of the best feeling fabrics available. Cashmere is noted for being warm, incredibly comfortable, and prestigious. Thinsulate – This is technically a trademarked material made by 3M, but many clones have popped up. However, what all Thinsulate materials have in common is using a synthetic fiber that can be spun and woven that is thinner than polyester. Most of the time this takes the form of various polypropylene or polyethylene plastics.Thinsulate is generally as good or better than other synthetic fibers at trapping heat. It is also noted for being fairly comfortable, though it is not as malleable as polyester or nylon. However, it is much thinner than polyester which increases your flexibility when used for clothing. Depending on what you drive or what you do, you might need some features more than others. 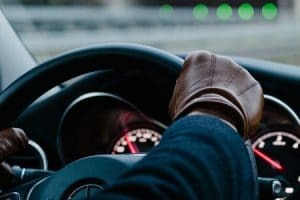 If you have to stay connected 24/7, you will definitely want to make sure your winter driving gloves are touchscreen compatible. Of course, some driving gloves are more setting specific than others, so colder regions might want to keep the lining in mind when choosing. In general, we recommend the WARMEN driving gloves because they offer the best combination of features with a number of choices. The inclusion of touchscreen compatibility only pushes these gloves over the top. That said, they are the most expensive driving gloves we reviewed. If you are looking for a cheaper option, Pierre Cardin provides an excellent pair of driving gloves. In fact, if they were touchscreen compatible, we would rate them our Editor’s Choice. Instead, they are the best “old school” type of winter driving gloves.